FloorDesigns sells Karndean design floors across Central Scotland and is proud to do so. 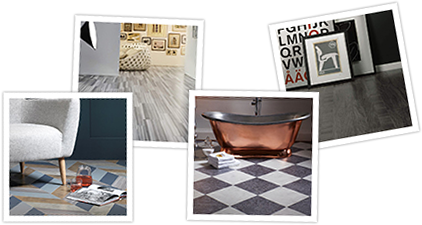 Anything to do with floors – just ask us and you’ll get the right advice, the reassurance you need and a range of options to suit your design needs and budget. Our installers are second to none and we just love Karndean flooring! As any expectant parent will know, the run up to the birth of your baby is a magical time. Getting the baby’s nursery ready is one of key events ahead of the arrival of your bundle of joy. And you don’t have to be a Windsor to want the absolute best for your little Prince or Princess. 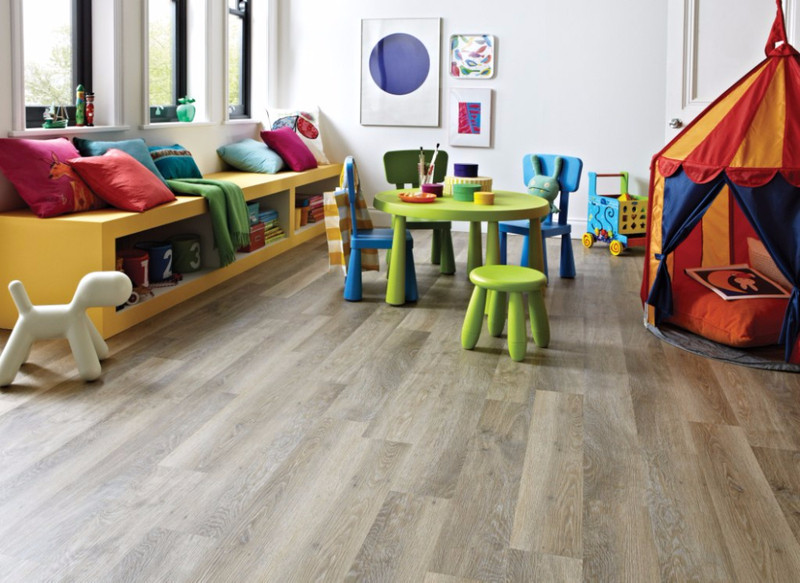 Flooring from Karndean Design might not seem like the most obvious item on the list of “must-haves” for your baby’s nursery. However, with the young Prince George of Cambridge enjoying playing on Karndean flooring on visits to his Great Gran and Grandpa in Buckingham Palace, it’s worth looking into as an option for your little one’s room. With Karndean Design flooring, you can get the beautiful, clean look of a wood or stone floor but with the warmth and comfort underfoot that you would want in any bedroom – and especially in your baby’s nursery. From a design perspective, there are so many options available that you really can create your own unique look for such a special room. You can choose from a wide range of colours and finishes as well as border options and design strips. And it’s future proofed too. Easy to clean and maintain, it is a much more practical solution for a nursery than carpet – especially for the toddler years when potty training starts! Plus, it is tough and hardwearing, meaning that a Karndean floor can handle whatever your baby or toddler can throw at it. With each floor coming with its own 12 to 20 year guarantee, you can be sure it will last right up through secondary school to the flight from the nest and beyond. It comes as no surprise that Karndean Design flooring was chosen to provide the flooring for somewhere as grand and iconic as Buckingham Palace. 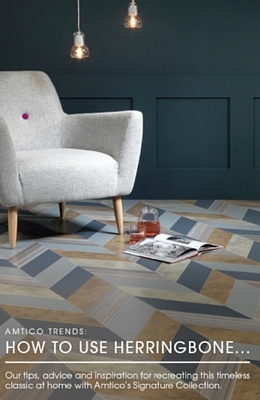 Established in UK and celebrating over 40 years in business, Karndean is the daddy of luxury vinyl flooring. It has grown into a global company renowned for the beauty, quality and durability of its product range. A true British success story, its flooring will grace the interior of any home, commercial building or the grandest of royal residences. Let’s face it – we can’t all live in a Palace. 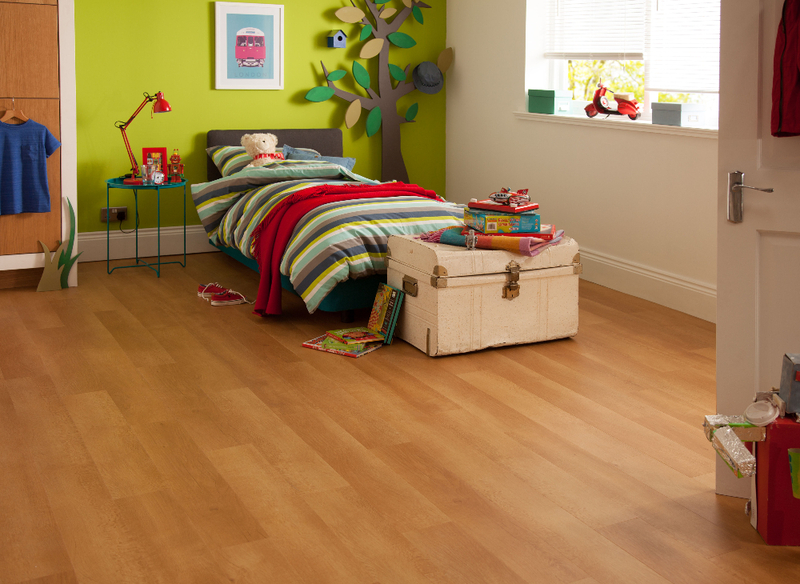 But with Karndean Design flooring, you really can create a nursery fit for a royal Prince or Princess and imagine you are.